I love handwritten notes. The physical act of scrawling on a page helps me to process my thoughts and remember important information. When I’m sat outside or stuck in a crowded space, it’s also preferable to digging out my laptop. I’ve adopted Evernote, but my account quickly looks neglected as I inevitably steer back towards a familiar pen and paper solution. Occasionally I’ll transfer all of my notebooks across, either by using Evernote’s in-app camera or simply typing out the most important parts. 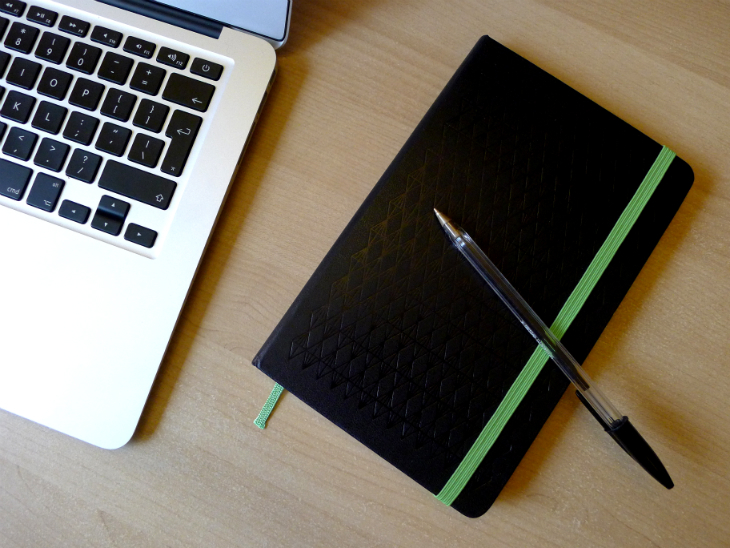 It’s not ideal though and for months, I’ve considered buying an Evernote Smart Notebook by Moleskine (our review). Earlier this month, Evernote announced an upgraded version aimed at business customers. Although I rarely wear a shirt and tie, I jumped at the chance to experiment with the stylish jotter and see whether it could bring harmony to my disjointed and disorganized note-taking process. The original Moleskine notebook is an icon of the writing world. The second that someone plucks one out from their bag, you know exactly what it is. The compact design, black cover and high quality paper are instantly recognizable. Many companies have tried to copy the classic Moleskine design, but few come close to matching or surpassing the original. The Evernote Business Notebook maintains these high standards, while adding a few flourishes for the digital note-taking service. The cover has a curious geometric design, with the Evernote logo in the top-right hand corner. Meanwhile, the elastic band and fabric bookmark are bright green, giving the design some much-needed color and contrast. At 13 x 19cm, it’s certainly one of Moleskine’s larger products. Even so, the notebook is small and lightweight, which means it’ll sit nicely in almost any bag or tucked under your arm. I had absolutely no criticisms about its design – this is a lovely notebook to use and carry around. For its new Business Notebook, Evernote has introduced a two-part system to each page. The top two-thirds are designed for public consumption, while the lower third is for private notes. The idea is that while you’re in a meeting, you can write the most important information up top and keep your own personal thoughts and reminders contained at the bottom. The two sections are clearly defined with a line break and two symbols on the left-hand edge of the page. I normally scribble notes in the margins, but I quickly learned to link important additions at the bottom with an asterisk. 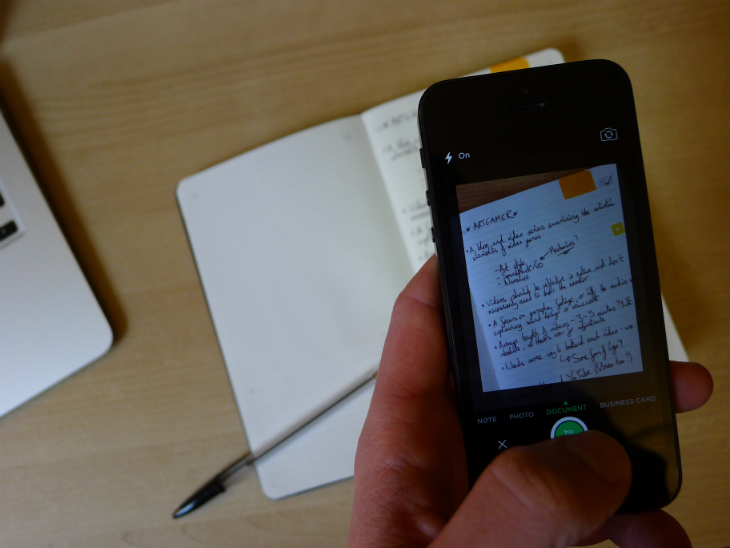 When you’ve finished writing, you’ll need to capture the page using the iOS app to sync it with your account. That’s right, at the time of writing the Android app doesn’t support the Business Notebook, although Evernote says support is “coming soon”. It’s a simple process in the iOS app though; just launch the camera feature, swipe across to the Document setting and hit the shutter button. I often write in a dark and dingy room (the harsh realities of working remotely), but I never had problems capturing the page. Black ink is certainly recommended, but in optimal lighting you can get away with other colors. Inside the Evernote app, you can then find and open the page just like any other note. It’s worth emphasizing that these are simply scanned versions of the original pages; Evernote Premium can interpret words and surface them when you search inside its apps, but it won’t create a truly digital, typed-out version for you. This is where Livescribe really excels, although it’s a far more expensive option than Evernote’s Smart and Business notebooks. By hitting the Share option, followed by Mail, Evernote will recognize that it’s from your Business Notebook and give you two options: share only the top section, or the entire page. You can only select one, so to email the entire page to one group and only the upper section to another, you’ll need to go through the process twice. I was never frustrated by the experience though. Pages were clean, legible and cropped appropriately, and a few people were impressed that I had bothered to send over a handwritten copy. I’m not sure it has any meaningful benefits (other than proving it was your work) but who knows, the novelty factor might help you close a deal or land a promotion. The second addition integrates reminders. If you tick the checkbox in the top right-hand corner, Evernote will automatically add the page to the top of your reminders list. While this in itself is useful, I often like to set deadlines with a specific time and date – either because a document is due or to remind myself that I should start working on a particular project again. The idea shows promise, however. I don’t think the Business Notebook itself needs to change – the Evernote app should just be able to give me the option once I’ve captured a picture of the page. Hopefully Evernote will be able to add this in a future update to its iOS and Android apps. 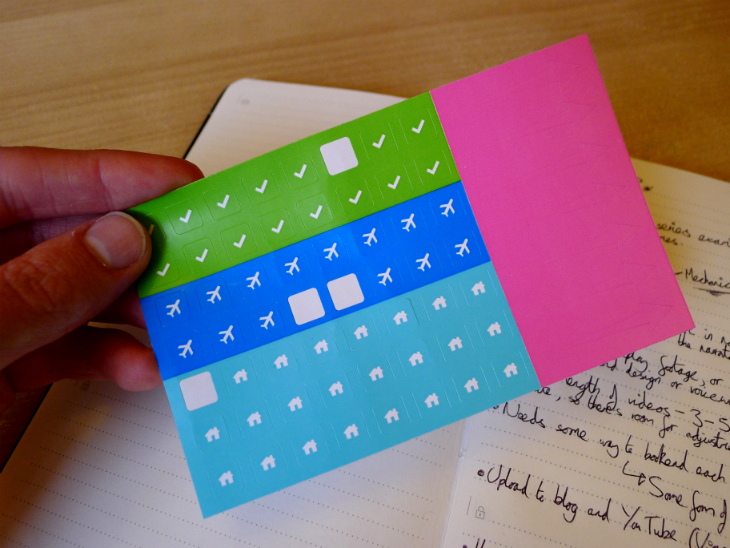 In the back of the notebook, you’ll find an expandable pouch with some colorful Smart Stickers. There are six in total – each no larger than your fingernail – with white icons that represent the following categories: Home, Work, Rejected, Approved, Action and Travel. You can customize each of them with the Evernote app though. All six can be configured to denote a custom notebook or tag, which means that each page is sorted from the moment you hit the shutter button. In practice, I found this to be an incredibly valuable part of the Business Notebook. If you don’t use the supplied stickers, each page is simply thrown into your account’s default notebook – which is the digital equivalent of simply stuffing your paperwork in a random drawer. With this tagging system, however, everything remains organized inside Evernote. Admittedly, this feature has been carried over from the original Evernote Smart Notebook. Even so, it’s a smart way to organize pages, with the only downside being that you have a finite number to implement. You can’t buy extra sticker packs, so you’ll need to use the four provided sheets wisely. 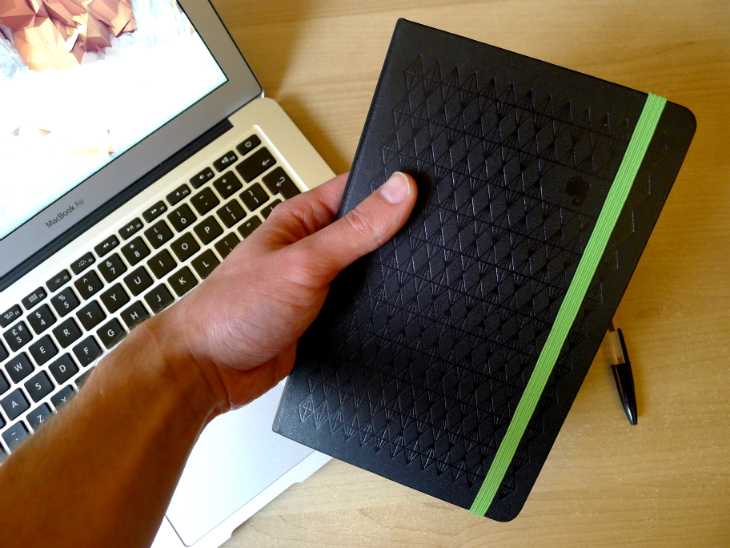 The Evernote Business Notebook is one of the best notebooks I’ve ever used. It’s been designed and produced by Moleskine, which means the materials and construction are top-notch. The paper is excellent and I can happily write in it for hours on end. The pages rarely curl, the leading is appropriate and there’s just enough space at the top and bottom for some random doodling. 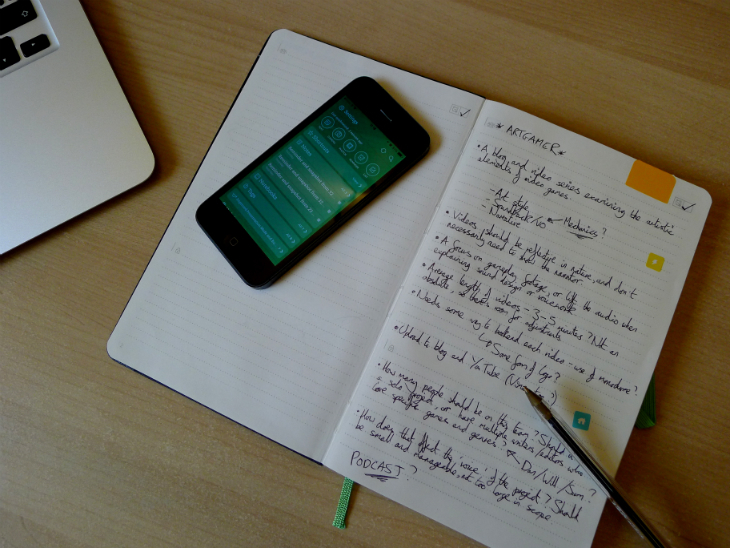 Even without the Evernote-specfic features, the Business Notebook is a fantastic product. With the Smart Stickers, page sharing options and checkbox reminders though, it’s incredibly useful. Admittedly, using the notebook still requires a fair amount of legwork inside the Evernote app – I regularly found myself duplicating notes, giving them new names and moving them between different notebooks. While the company has made great strides to condense the process, a fair amount of discipline is needed to make this writing setup work. The major drawbacks are twofold. For one, the Business Notebook doesn’t translate your notes into truly digital, typed out copes. For another, it costs $32.95 from Evernote Market, which is pretty expensive. The Classic Notebook is only $18.95, so if you write an awful lot (like I do) you’ll need to decide whether the extra cost outweighs the benefits. The camera function inside the Evernote app can be used to capture any document – but with the Business Notebook, you have the ability to share select parts of pages, as well as add reminders, tags, and organize pages into notebooks. Is that worth the extra $14? Probably for business customers, but as a price-conscious writer I would opt for the regular Evernote Smart Notebook, which is sold for $24.95. 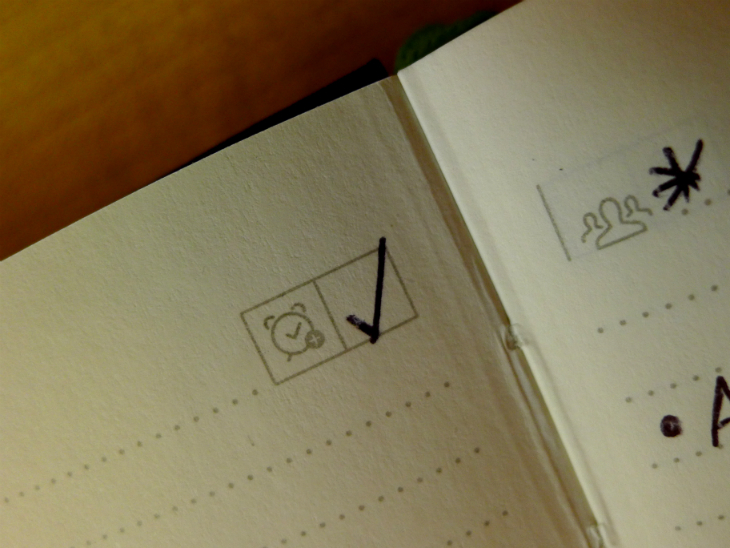 Smart Stickers are integral to the experience and with each notebook, you also get three months of Evernote Premium for free. The company’s subscription-based service normally costs $5 per month (or $45 per year) so it could be argued both the Evernote Smart Notebook and Business Notebook represent good value for money in that regard. The other major downside is the lack of Android compatibility. Evernote is clearly aware of this – a sticker on the front of the notebook says it’ll be supporting Google’s mobile OS soon – but to launch such a product without Android support seems rather shortsighted. I use an iPhone, so this isn’t a problem for me, but it would obviously be a deal-breaker if I ever abandoned Apple’s ecosystem. Despite these minor quibbles, the Business Notebook solved the problem I identified at the outset. 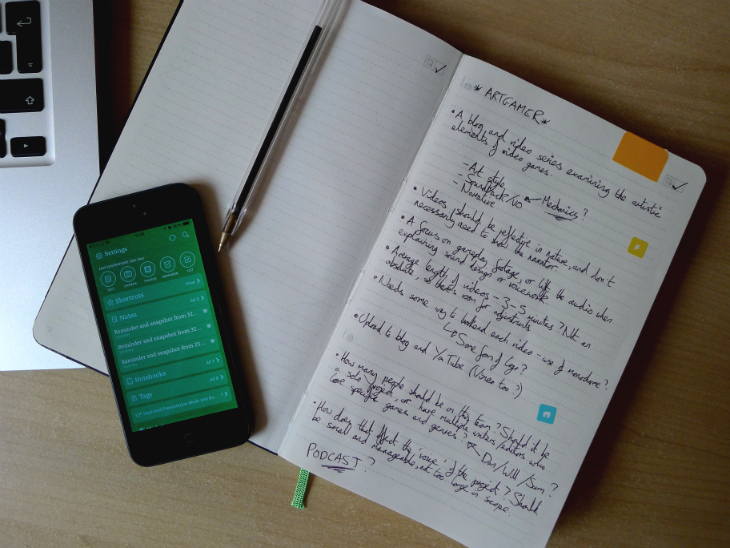 For the first time, I was able to keep my physical notes and Evernote account perfectly in sync. Admittedly, It took a little bit of extra work, but simply owning the Evernote-branded notebook meant that I was compelled to use its unique features. It’s not the cheapest jotter, but it’s certainly my favorite.